Since its recent legalization in certain states, marijuana has found itself in the middle of several product liability lawsuits. A new lawsuit filed in Colorado has just upped the ante. According to a report from the L.A. Times, a new suit has been filed accusing marijuana of being the culprit for a homicide. In the first wrongful-death suit against a recreational marijuana company, the children of Kristine Kirk, murdered by her husband, Richard Kirk, back on April 14, 2014, have filed suit against Gaia’s Garden, LLC, claiming that the company’s Kandy Orange Ginger chew candy triggered the shooting. 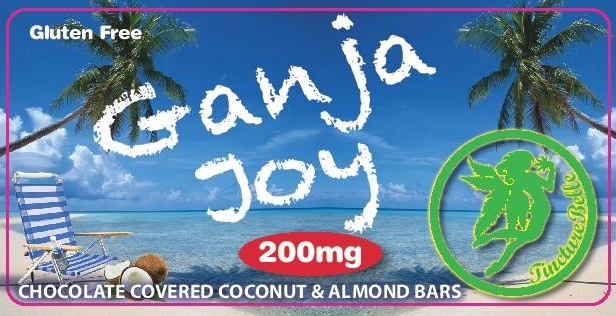 The plaintiffs allege that Gaia’s failed to warn customer that marijuana edibles could lead to paranoia, psychosis and hallucinations. According to Kristine Kirk’s 911 call, the shooting happened after Richard burst into their home ranting about the end of the world. Thereafter, he laid on the floor and asked for someone to kill him. Richard then retrieved a pistol and shot Kristine. Richard has been charged with first-degree murder. He initially pleaded not guilty, but has since changed his plea to not guilty by reason of insanity. We here at Abnormal Use will be interested to follow this suit as the facts develop. Reading the reports of the incident make it sound more like those involving bath salts than recreational marijuana. It is so outside-the-box that we almost wonder whether marijuana was the culprit at all. Interestingly, toxicology reports showed that the amount of THC in Richard’s blood was less than half the legal limit. Prosecutors actually contend that the murder is the result of increasing marital stress. In any event, we see this as a case akin to suing Anheuser-Busch for a driving under the influence accident. Gaia’s apparently complied with all state labeling requirements regarding the potential adverse health effects. With legal marijuana being so new to the marketplace, we suppose this lawsuit is an attempt to test the waters with marijuana litigation. We assume that the same legal principles applied to similarly situated products will continue to apply. Gloves? Check. Goggles? Check. Ski pants? Check. Heath insurance information and money for the co-pay? Check. That’s right. If you’re headed out west for an epic trip to shred the fresh snowfall in Colorado, you may want to bring a hospital bag just in case. We’re not talking about the risk of a cast for a broken bone suffered while attempting to channel your inner Shawn White at the resort’s terrain park. Or even getting stitches after taking a tumble walking out of a local pub following an hour or two of après-ski. No, we’re talking about treatment for a full-on psychotic episode. Because according to a recent article by the Associated Press, if you plan to take part in the growing (pun intended) marijuana tourism industry during your time in the Centennial State, you are statistically more likely to end up in a hospital ER than your local counterpart. In 2014, the year recreational marijuana sales were legalized in Colorado, the number of emergency room visits by tourists related to marijuana use nearly doubled from the prior year. The most common ailments reported by tourists and visitors in the study were psychiatric in nature, including aggressive behavior and hallucinations. Perhaps you are thinking those numbers reflect a rush of college coeds who rerouted their spring break plans from Panama City to Denver to participate in a week long botany class? Nope. The median age for visitors reporting to the ER with marijuana-related issues in the study was 35.5 years. So much for blaming millennials. The marijuana tourism industry is growing at a rapid pace. All-inclusive cannabis vacation packages, cannabis-themed excursions, cannabis friendly resorts, dispensary and grow tours offer plenty of ways to get a mile high in and around the Mile High City if that’s the experience you seek. For those of you planning to partake, make sure you pace yourself and maintain good health insurance coverage. Last year, we here at Abnormal Use questioned when we would see our first meaningful piece of product liability litigation arising out of the legalization of marijuana. Well, apparently, that time is now. According to a report from ABC News, two Coloradoans who like to partake in the use of marijuana filed a lawsuit against Denver-based pot company, LivWell, alleging that the company grows its weed using an unhealthy pesticide. LivWell allegedly has protected its crop with Eagle 20 EW, a fungicide that can become dangerous when heated. It is banned for use on tobacco. Authorities previously quarantined marijuana grown at the facility due to the use of Eagle 20 EW; however, the plants were released after they tested at acceptable levels. While this lawsuit is not exactly what we had in mind when we contemplated marijuana litigation, it is not unexpected. Due to the conflict between federal and state law regarding the legality of marijuana, there are no federal regulations for the safe growth of marijuana. As such, states which have legalized marijuana must ask themselves what standards they wish to adopt. Colorado has a list of “approved” pesticides, but the list is not all-inclusive, and the research is far from complete. What is the purpose of this lawsuit other than to be the first marijuana product suit? LivWell no longer uses Eagle 20 EW. The plaintiffs do not allege to be injured by the marijuana (in fact, there are no known cases of marijuana pesticide illnesses to our knowledge). The plaintiffs allege only that they want LivWell to be punished for using Eagle 20 EW. Lack of federal guidance aside, are the Colorado courts really the venue to set the regulatory standards for pot growth? We imagine the plaintiffs’ real intention is to bring life back to a simpler time, when they could grow their own marijuana underneath the protection of a black light in the guest bathroom. Behold! The Taylor Swift Complaint! You know, we here at Abnormal Use could remark or otherwise opine upon the new lawsuit against Taylor Swift. We could analyze the potential motives of the deejay who has filed the suit and claimed that he was falsely accused of groping the pop star. We could comment upon the three causes of action asserted therein (intentional interference with contractual obligations, tortious interference with prospective business relations, respondeat superior) and gauge the likelihood of success. Or we could embed the amended complaint below so that you could read it yourself (as we did here at the office yesterday). Note that the case has since been removed to federal court in Colorado, and the live version of the complaint is that from state court. Enjoy! Recently, a Colorado federal court considered a motion to dismiss in a medical device product liability action arising from a plaintiff’s allergic reaction to a cobalt and nickel knee replacement system. See Haffner v. Stryker Corp., et al, No. 14-CV-00186, 2014 WL 4821107 (D. Colo. Sept. 29, 2014) (unpublished). Observing that there appeared to be “few medical device tort cases in Colorado,” the court addressed the defendant’s motion to dismiss the plaintiff’s four causes of action: strict product liability, negligent product liability, the breach of implied warranties of merchantability and fitness, and the breach of an express warranty. The case arose after the plaintiff underwent a surgical procedure in which his left knee was removed and replaced with a knee system manufactured by Stryker Corporation. The plaintiff alleged that he was unaware of his apparent allergy to cobalt and nickel, certain components of the system. As a result of his allergy, he experienced a reaction that caused “pain, inflammation, swelling, bone loss, and limited mobility.” He ultimately underwent a revision surgery to ameliorate the issue and to replace the original knee system. The plaintiff filed a product liability lawsuit in the state court in Colorado, but as you might suspect, the defendants removed the case to the federal court. The lawsuit from Hershey came as a huge surprise to us because we changed our entire label line approximately 6 months ago, long before these allegations surfaced last week. Our new packaging looks nothing like Hershey’s or anyone else’s. . . . The suggestion made by some media reports that our products are available to children, and even sold side-by-side with Hershey products, is dumbfounding, and shows a profound lack of awareness of how infused cannabis products are regulated, manufactured, and sold under Colorado’s strict regulatory regime. We here at Abnormal Use must admit that we much prefer the original Hersheyesque packaging to the TinctureBelle revisions. Of course, opinions similar to these are probably what inspired the suit in the first place. If the packaging was, in fact, changed six months ago, however, what is Hershey really seeking to accomplish? A share of TinctureBelle’s pre-alteration proceeds? 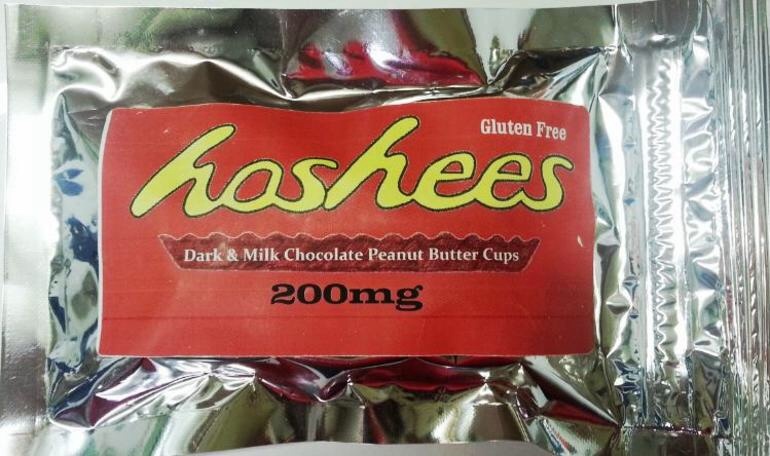 Seeing as all marijuana has only been legal in Colorado for six months and, thus, the only pre-alteration proceeds would have been from the medicinal sale of the candy, we doubt Hershey will have a lucrative end game. This lawsuit has all the makings of a Bucky Balls-type fight. We will be sure to keep you posted as events transpire. 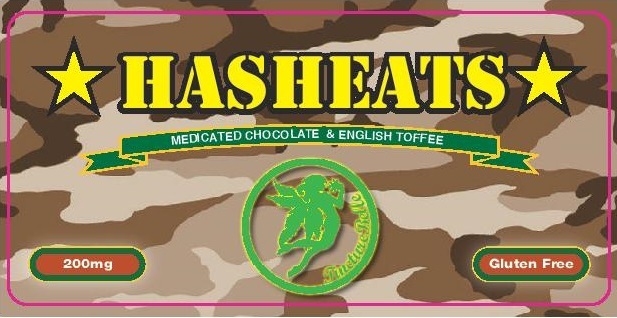 We understand Hershey’s concerns about trademark infringement, but surely it is an honor to be the first company honored by legal pot candy. 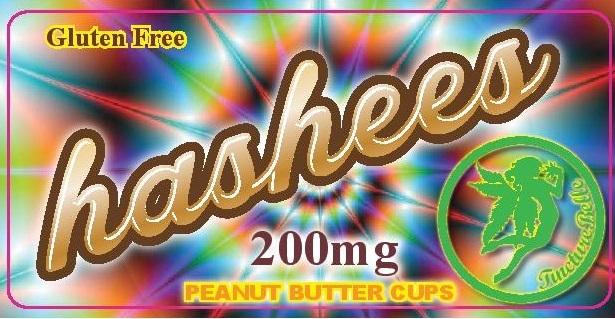 It is difficult to get too upset with TinctureBelle when its creativity inspired names such as “Hashees” (Reese’s) and “Ganja Joy” (Almond Joy). Again, Hershey has the right to be concerned about trademark confusion, and we certainly understand the basis for the litigation. On the other hand, we seriously doubt consumers are buying these products because of their resemblance to Hershey products. After all, TinctureBelle has its own secret ingredients. Liability for the Snow: Who is Responsible? Last week, our Gallivan, White & Boyd offices were trapped in the middle of a Southern Snowpocalypse, so we here at Abnormal Use were able to spend a few days enjoying the snow with our families. We partook in the customary activities of sledding, building snowmen, and throwing snowballs. We also observed others engaging in not-so-standard activities like pulling kayaks across snow-packed roads with golf carts. As lawyers, we naturally started thinking about the potential liability for any injuries to said snow kayakers. Beyond the operator of the golf cart, it is hard to identify any other obvious potential tortfeasors. But, what about the Homeowners Association? Could it be held liable for permitting such activities on its roads during the wrath of Mother Nature? Sounds absurd, we know. But, what duty should an entity have to warn of the dangers of weather? Last week, in Fleury v. IntraWest Winter Park Operations, the Colorado Court of Appeals held that a Colorado ski resort was protected from such liability. According to CBS-Denver, a man was killed by an avalanche while skiing at the Winter Park ski resort back in 2012. On the morning of the man’s death, the Colorado Avalanche Information Center issues a warning that the chance of avalanche was high due to high winds and heavy snow. The man’s widow sued IntraWest, the owner and developer of the resort, claiming that the ski area should have been roped off and her husband not allowed to ski due to the warning. The trial court dimissed the case on the grounds that ski resorts are shielded from liability for accidents caused by avalanches. The Court of Appeals affirmed, holding that ﻿﻿﻿﻿the avalanche was caused by new snowfall, weak and unstable snowpack, and a steep slope – all of which are covered by the state law. Clearly, a skiier trapped in an avalanche is not comparable to a kayak pulled behind a golf cart. One involves a standard activity. The other involves a couple of individuals adding some Southern flare to customary activities. Nonetheless, Mother Nature treats us all the same. And, so should the liability. These days, guns and school safety are the biggest hot button topics around. No one wants innocent children being harmed, whether it be by a crazed gunman or some other student who decided to bring a parent”s pistol to school. But, at some point, we must remember that we can’t abandon common sense in the name of safety. That advice goes particularly to a Colorado elementary school that suspended a second grader who was exercising his imagination during recess by pretending to stop imaginary bad guys with an imaginary weapon. The seven year-old boy was playing a game he made up called “rescue the world” at Loveland, Colorado’s Mary Blair Elementary. During the course of this game, the boy threw an imaginary grenade into a box where his imaginary evil forces were hiding. There were no threats to other students. There was no real weapon or dangerous object involved. Just a boy pretending to be a hero. So, why exactly, was the boy suspended? Apparently, the school has a list of “absolute” safety rules that result in automatic suspension if broken. The list proscribes fighting and weapons, which makes perfect sense. The list also bans “imaginary” fighting or weapons. So we’ve got a school that can suspend kids for the strict liability crime of using their imagination. It might be time for everyone to step back and take a deep breath. On June 10, 2005, a four-month-old child, identified only as “A.H.” was injured when the car in which he was riding was T-boned by another vehicle. A.H. was riding in an Evenflo Discovery Model 316 car seat at the time. During the accident, the seat detached from its base,and was found in the rear cargo compartment after the crash. Following the accident, A.H.’s father sued Evenflo in the United States District Court for the District of Colorado. Evenflo filed a motion in limine, seeking to exclude evidence of car seat models not involved in the accident. The Court issued its opinion on October 31, 2012. See Hadjih v. Evenflo Company, Inc., No. 10-cv-024345-RBJ-KMT, 2012 WL 5363332 (D. Col. Oct. 31, 2012). The major issue: the plaintiff’s desire to introduce evidence of testing by the National Highway Traffic Safety Administration on the Evenflo 390/391, the model that succeeded the 316. During testing, the 390/391 detached from its base during side-impact crashes. No testing had been done on the 316, because it was designed and manufactured before testing by the NHTSA started. Evenflo sought to exclude evidence of the 390/391 generally, and specifically, with regard to the testing. In both instances, the Court undertook a “substantially similar” analysis. As the Court noted, “in products liability actions, substantially similar acts or occurrences are often permitted to demonstrate the existence of a defect, to prove notice, or to refute testimony given by defense witnesses.” A higher degree of similarily is required if the plaintiff is using the other product to show causation than if the plaintiff is simply using the product to show notice. In this case, the plaintiff was using the 390/391 model to prove the defect, so a higher degree of similarity was required. The Court held that both general evidence of the 390/391 model, and evidence of the testing involving the 390/391 model, could be used by the plaintiff, and denied Evenflo’s motion in limine. In both cases, the focus of the court remained squarely on the plaintiff’s theory of the case. The plaintiff’s theory of the defect in the 316 model was that the plastic latching mechanism did not work properly. Evidence in the case tended to show that the two carseat models had nearly identical latching mechanisms; in fact, the carseats could each latch into the bases designed for either model. Other differences between the models, the court ruled, would go to the weight of the evidence, but not its admissibility. In terms of the specific testing by the NHTSA, Evenflo argued that the testing itself involved crashes that were substantially dissimilar to the accident at issue in the case and, therefore, the testing results should be excluded. Again, the court focused on the plaintiff’s theory, which was that the car seat carrier dislodged from its base because of intertial forces. The court held that the difference in delta-v forces, the weight of the child/dummy, and other differences went to the weight that the jury will give to the evidence, and let the evidence in. We will watch to see if this case continues to trial and try to determine what impact these rulings have on the judgment, if any, rendered in the case. This is a good refresher on the “substantially similar” test, at least in terms of how Colorado interprets it.